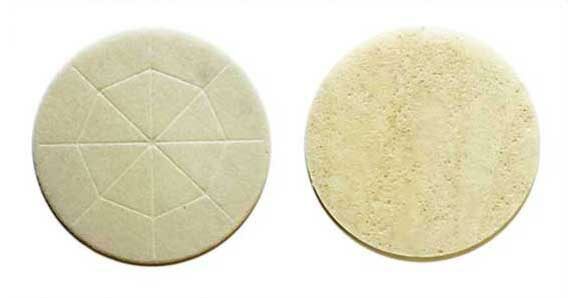 We have been providing altar breads for over 110 years! Our monastic life revolves around prayer and our charism of adoration. It was only natural that our sisters early on would choose the production of altar breads as a service to the church and as a means of supporting our community. Your purchase of our altar breads helps us to carry on this tradition and sustain our life of prayer for the church and the world. For us, it’s the privileged work of our hands and a labor of love. 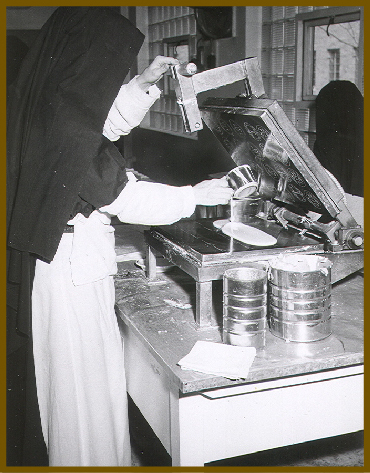 Throughout history devout women have been privileged to make the bread that will become the Bread of Life in the sacred liturgy. This tradition has been handed down from generation to generation in our own community. 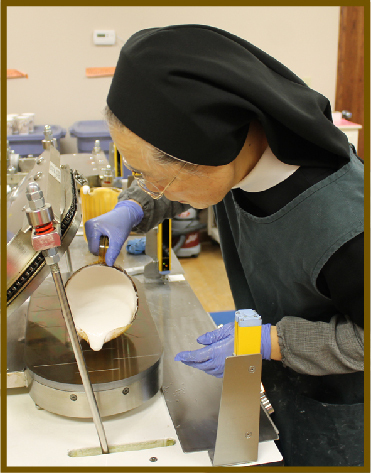 Our Altar bread production helps sustain our contemplative lifestyle and enables our direct participation in the faith life of the Church. 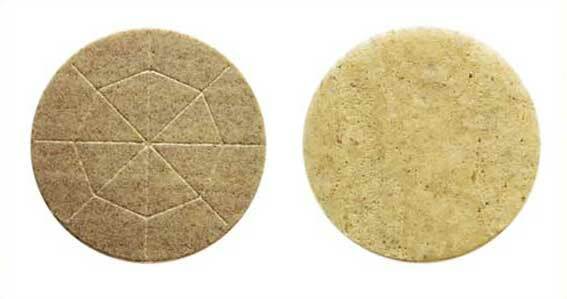 We were the first to produce a low-gluten bread approved by the Catholic Church for those suffering from Celiac disease. 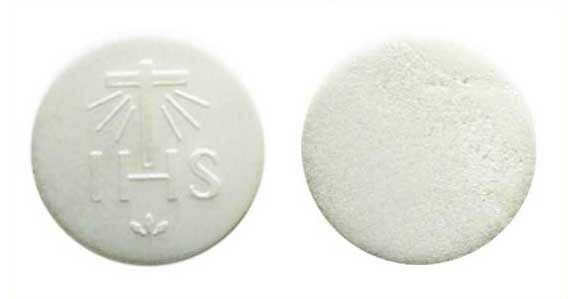 We are humbled as we continue to receive letters and emails from people who are now able to receive Holy Communion. We are grateful to our loyal patrons who have supported us through the years and welcome the opportunity to supply new customers with breads that are always accompanied by our prayers.